I was never really overweight as a child. Our mother didn’t allow sodas, candy or fast food save for the occasional holiday or road trip. We ate plenty of vegetables and stayed active playing outside, riding bikes and going for long hikes in the mountains. My only memories of junk food in those times are of celebrations or, as a contrast, upsetting or stressful times when we were permitted “comfort food”. I maintained a normal weight throughout my teenage years but as my focus on academics intensified my focus on healthy eating and exercise blurred considerably. After college and into my mid twenties I rarely thought about what I was putting in my body, thinking as long as didn’t perceive myself as a “fat person” I was fine. I kept having to go up a dress size or two, get rid of my “skinny” clothes and because I almost never exercised enough to become out of breath, had no idea how out of shape I’d really become. Slowly and steadily I put on over 65 lbs and by the time I was 27 I weighed around 230 at my heaviest. At the time, as a part time music photographer, I traveled in and around the city of Atlanta frequently. I also had a full time day job with a 45 minute commute, so I was constantly driving on busy freeways. The hectic drives had never bothered me before but one afternoon while driving to visit my father in the city I started to become dizzy and my heart pounded. As my chest tightened and my breaths got faster and more difficult, my peripheral vision disappeared and I felt like I was about to pass out – while driving 70 mph on a crowded freeway. I had experienced panic attacks before but never while driving. After pulling over and getting something to drink I did manage to collect myself, but I arrived at my dad’s house shaking and crying. The panic attacks continued steadily and during a visit to my physician I was diagnosed with high blood pressure and put on medication. I suffered constant bladder infections, mysterious aches and pains, headaches, panic attacks and shortness of breath and general malaise. Despite being easily out of breath, having to shop for larger sizes and my then-boyfriend’s waning interest in intimacy, I was in denial about my dismal health most of the time. I was stressed out and depressed and the only way I knew how to numb myself was by eating more and not thinking very far beyond the current moment. My sister was married in the summer of 2011 and in all of the pictures she looked healthy, gorgeous and happy. I looked uncomfortable and ridiculous in a dress that was obviously too small. Looking through her wedding album I thought I would never feel that happy and beautiful. The more I obsessed over my ever-increasing likelihood of developing Type II Diabetes, risk of stroke, heart disease and other complications, the more I saw the real possibility of having a future full of medical complications – if I had much of a future at all. My twenty-something year old body didn’t handle excess weight well at all and I knew it would only get worse. This just added to my stress and anxiety and my panic attacks while driving approached the point of rendering me non-functional. I was afraid for my job and my physical and mental health. My survival instinct kicked in as I realized this would literally be a fight for my life. My worst panic attack ever came just a few days before Christmas. That night, as a gift to myself, I signed myself up for an online weight loss program. I’d count calories, fat, fiber, carbohydrates and sugar intake. 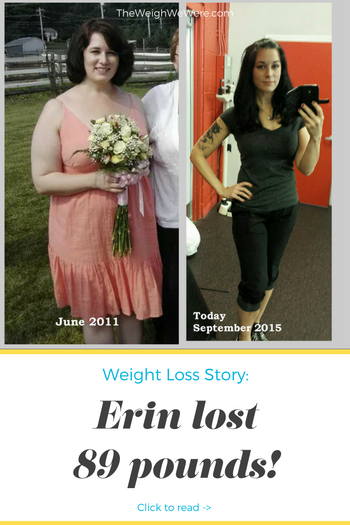 My stepmother had used a similar program to lose an amazing amount of weight herself and I didn’t know what else to try. I was desperate to turn things around and knew I needed to do something. My doctor advised cutting down on starchy breads and cleared me for exercise. I didn’t stick with the online program for very long. While I found myself paying close attention to macronutrients and keeping a helpful food journal, the “point system” I was using was still making it OK to eat garbage as long as I starved myself for the rest of the day. I still wasn’t a huge fan of vegetables and craved junk food. I didn’t feel much healthier; I just felt deprived. I started exercising very slowly – just walking at first and I did notice a few pounds fall away after the first few weeks. I didn’t care how long it took, I just wanted to do the right thing and be able to stick to it. By that summer I had lost about 30 pounds. When I realized the online program wasn’t right for me I cancelled it and started doing my own research. I was frustrated by the inconsistent information from popular magazines, online resources and friends and family. I was frustrated by moments of powerful motivation dissolving into and apathy and mindlessness when I was tired or unprepared. There were conflicting messages from peers about how I should accept myself the way I was or that I was getting “too skinny” (at 190 lbs). My then-boyfriend, despite his initial support, was not making any changes himself and I couldn’t talk him into joining me in my efforts in eating better or exercising. I felt alone on all fronts. 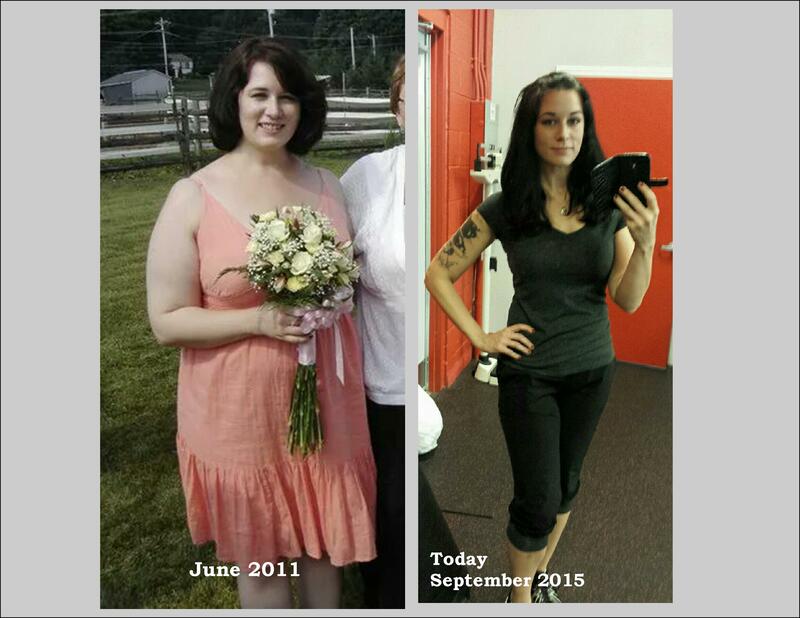 RELATED: 118 Pounds Lost: Wouldn't you like to be motivated beyond belief? 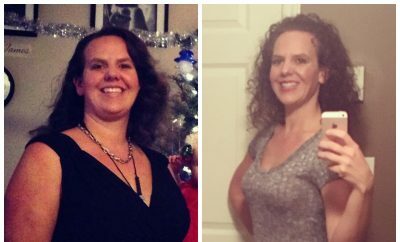 There were times when I thought I might pass out jogging on the treadmill; when I was excluded from friends’ and coworkers’ social activities because I wouldn’t eat bar food or drink alcohol all night; when despite a significant loss of 20 lbs, I saw no difference at all in the mirror or in the bedroom. I had no idea where my end point was for all of this effort and I couldn’t picture a fit version of myself in the beginning so it was difficult to stay motivated at times. 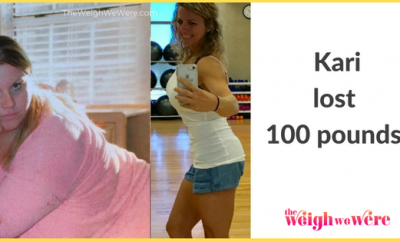 Early on I definitely relied on my fear of chronic illness to keep my motivated – but it was more powerful than my desire for a fit and attractive body. I simply didn’t believe I was capable of the latter, but I thought I could probably avoid getting sicker. It took me about two years to lose most of the weight. In the beginning I had almost no idea what I was doing, but as I researched credible, science-based sources my efforts became more effective. By then I’d fallen in love with the process; eating healthy food and exercising regularly felt like a reward in itself – not punishment for being fat. My life now, only 4 years after my worst point, is entirely different. After going through what was probably the darkest part of my weight loss journey, I knew I couldn’t just emerge on the other side and not go back in to help pull others out. There was too much bad information, too many harmful “diets” and too many people suffering at their own hands the way I did. I changed my job and my life’s focus quickly. 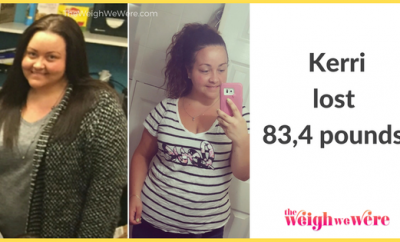 I left my comfortable corporate job as a skip tracing agent so I could pour all of my time and resources into helping others overcome their own weight loss challenges. I now hold personal training and health coach certifications, have specialized in women’s weight loss as a trainer and health coach and I now oversee a small personal training department as the general manager of a small gym. I practice what I preach. My diet is healthy, my workouts consist of both cardio and strength training and I’ve been off my blood pressure medication for over two years. I never, EVER thought I could feel so good and perform so well – and that feels amazing. I want others to discover their “inner fighter” too. That I am now in a position to guide others through the battlefield is the most important victory, on or off the scale! Racing heart, malaise, anxiety attacks, depression, vision changes, shortness of breath, high blood pressure, headaches, dizziness, bladder infections and mysterious aches and pains! I have all these and I have Lyme Disease. These are ALL textbook symptoms!! Very inspiring! 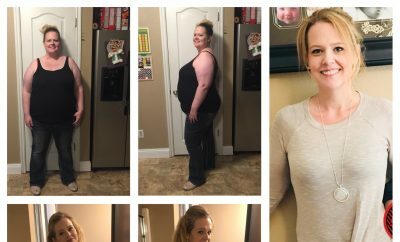 You look fantastic and I admire you for helping others on their journey to health.